The Kennedys’ home has seen better days. Along with the dingy paint, there’s a jagged row of bricks, as ominous as shark’s teeth, poking from the side of Ed Ullyart’s set. As a visual introduction to the characters of Rebecca Lenkiewicz’s family drama, the Night Season, it’s spot-on. They’re a bunch of charming misfits, but ones who, under Adrian Rawlins’ direction, avoid straying into sentimentality. Whether Lily, the family’s much-loved grandmother, is bonkers or just eccentrically manipulative – she certainly seems able to bend others to her will – is up for debate. But Lynne Verrall’s performance is spooky. There’s a conviction in her eyes which makes the character’s bizarre utterances – not least that married men “smell of rubber” – seem as unsettling as they are funny. There’s much about the production which causes shivers – in a positive sense – as well as smiles. While Clive Kneller’s Irish accent wobbles eastward – sounding, at points, more Cockney than Emerald Isle – he turns in a wonderfully crabby performance as family patriarch Patrick. He looks, on occasion, as if he’s in danger of folding in two at the agony of life. But the angst that pushes him to the bottle – you can see Kneller’s eyes twinkling at the sight of a pint – is the flipside of an undoubted romantic sensibility: when he implores daughter Judith (Bettine MacKenzie) to look up at the stars, a constellation projected on the theatre’s ceiling, it’s as if we’re in the Sligo countryside with them. 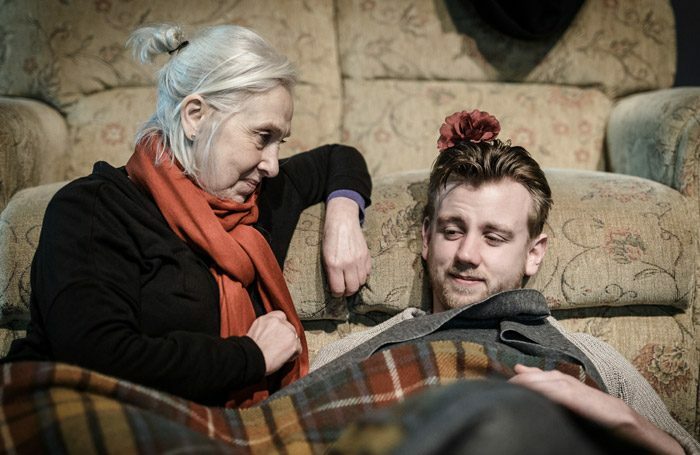 Rawlins’ directorial debut at East Riding Theatre is a hopeful pointer of things to come – a production which is as funny as it is quirky, with sharp edges beneath the laughter.